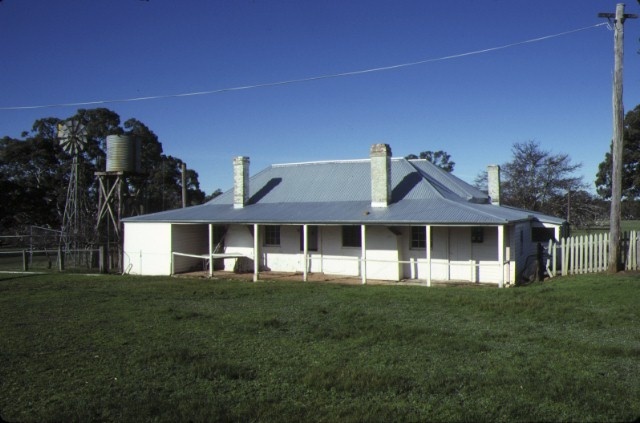 The Congbool pastoral homestead on the Mathers Creek near Balmoral was first taken up by the Mather brothers in 1842. 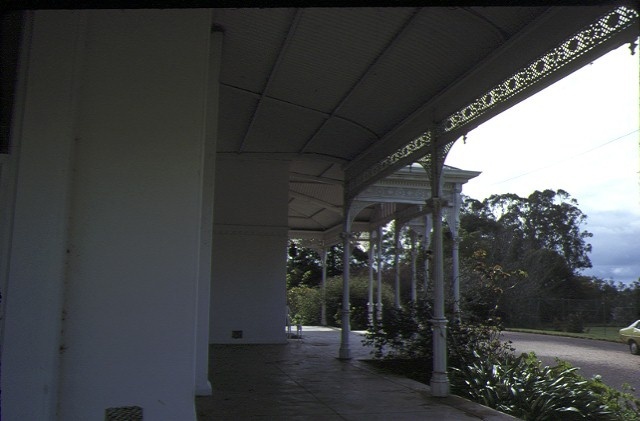 The original timber slab homestead of double hipped shingle roof, Georgian casement sash fenestration and low encircling timber verandah was erected between 1842 and 1859 and possibly before George Fairbairn acquired the run in 1846. 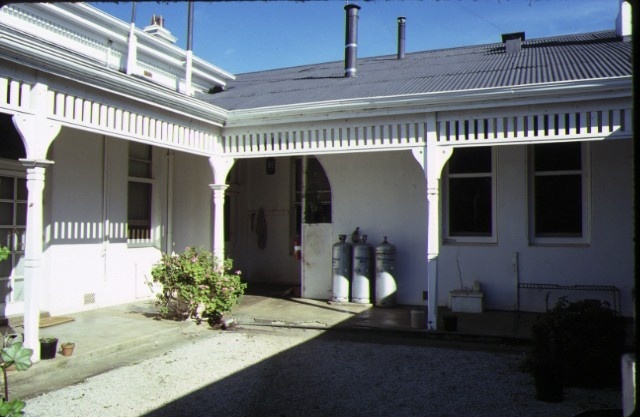 Congbool old homestead is now used as a station cottage having been replaced in 1898 with a substantial single storey brick and stucco rendered mansion with ornate iron verandah, elaborate interior and multi-gabled roof forms. This was an important early building designed by the Ballarat architect PS Richards who from 1900 to 1940 was responsible for innovative Edwardian and Art Deco style buildings in the district. The property has been known as Kongbool since the 1870s. An early owner George Fairbairn (1816-1895) was one of the largest landowners of the western district, a parliamentary representative for the area and a pioneer of the frozen meat trade. The complex also includes the nineteenth century woolshed and two brick buildings. 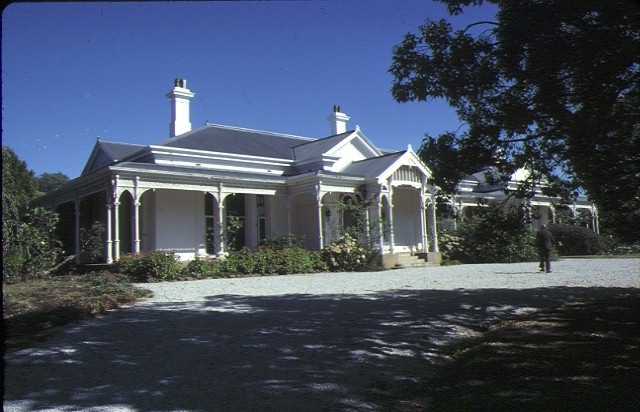 The plan of the homestead complex comprising gardens and avenue is typical of such established pastoral properties in the western district region of Victoria. Kongbool is of architectural and historical importance to the State of Victoria. 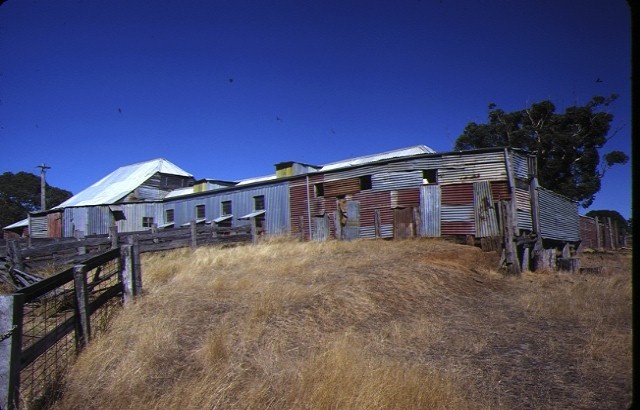 * It is an important western district pastoral homestead complex - the old Congbool homestead is a rare surviving example of timber slab vernacular construction in Victoria and representative of the first era of homestead architecture in western Victoria. * The complex of buildings, including the woolshed, is expressive of the lifestyle and work of a major pastoral property in the western district of Victoria. Historic Building No. 361, Kongbool, Balmoral. 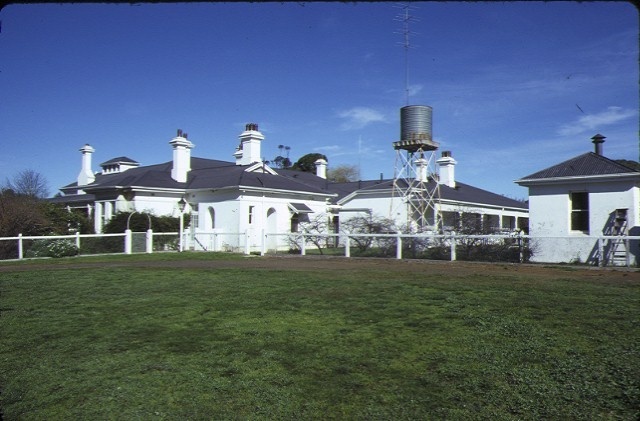 The Kongbool Home Station complex including the original Congbool Homestead and garden area, the woolshed (circa1850) and a curtilage of 15 metres around the building, the brick storeroom (c.1860), the stables (1899), the shed (c.1930), the buggy sheds and workshop (1899), the Kongbool Homestead (1896-99) and an area of land extending 100 metres from the new homestead to the north, 150 metres to the west, 150 metres to the east and 220 metres to the south which is included in the Certificate of Title entered in the Register Book Volume 8735 Folio 108.